Rivers and streams are a major source of ocean plastic pollution. Windblown trash and debris from storm runoff collects in local waterways. It drifts downstream to the ocean. When visiting public parks, always deposit trash in a secure container where it can’t be disturbed by wind or wildlife. If necessary, carry trash out and deposit or recycle it at home. Keep up with the latest updates on local recycling programs by downloading the free Recycle Coach app. 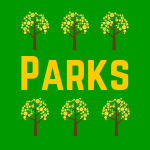 Join the hundreds of Union County Adopt-a-Park/Adopt a Trail volunteers who help keep our parks clean every year. Pack lunch and snacks in re-usable containers. Bring your own cup to your favorite coffee shop. Take your own bags to the supermarket. 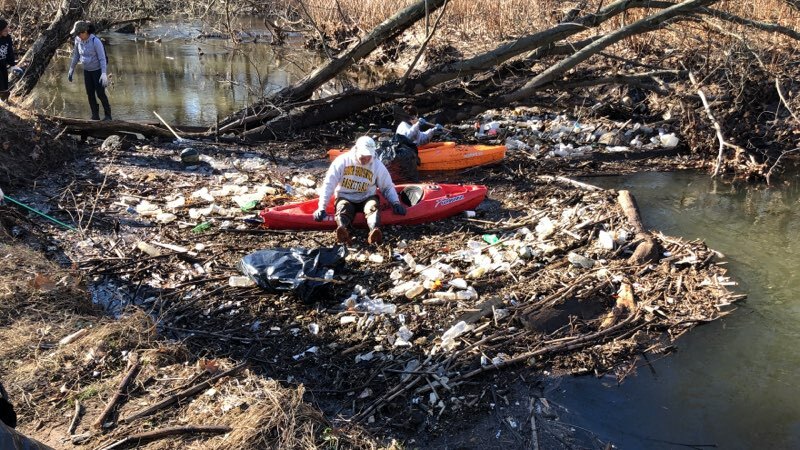 A group of intrepid Union County Adopt-a-Park volunteers recently cleared a “plastic jam” of litter and debris from the Rahway River in Union County’s Nomahegan Park. The volunteers collected hundreds of plastic items from the water and the nearby river banks, with an assist from two kayaks on loan from a helpful passer-by. 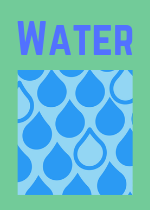 More tips on reducing waterborne trash: Trash Free Waters by US EPA.